By CNN'S JOE STERLING CONTRIBUTED TO THIS REPORT. 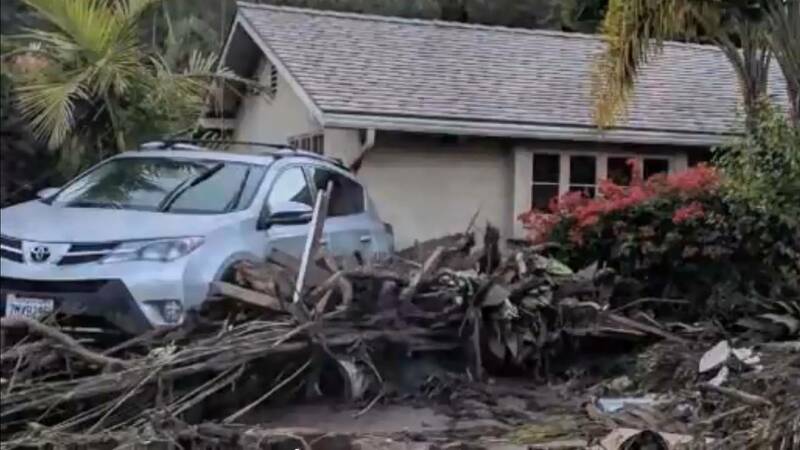 (CNN) - Flooding, mudslides and snow closed several highways in California over the weekend, with more rain and snow set to hit later in the week. The California Department of Transportation (Caltrans) late Sunday urged motorists to check conditions before travel. These latest weather emergencies have been exacerbated by wildfires, more frequent and widespread lately because of climate change, CNN meteorologist Monica Garrett said. The effects of the burning keep water from being soaked into dry ground devoid of vegetation, spurring floods and mudflows, she said.